Note: This is the third article of a three-part series covering bioplastics (1) trends, (2)material/process advances and (3) applications. The bioplastics industry is experiencing a sense of arrival confirmed by a growing volume and variety of applications from disposable packaging to durable goods. Bioplastics are no longer viewed as a mere fad, a "green" public relations stunt or a feel-good ecoluxury. They are proving to be legitimate tools of the plastics industry. 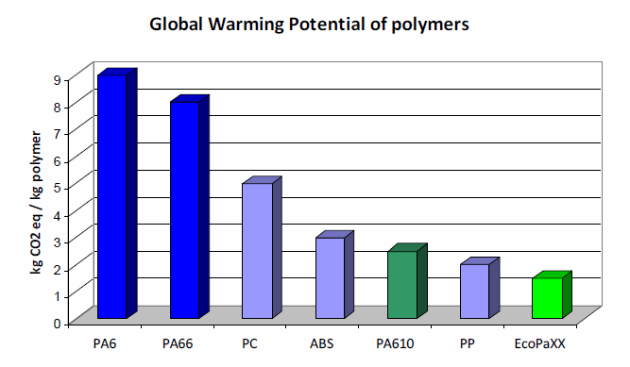 Let's take a look at bioplastics application development across some major plastic market segments. 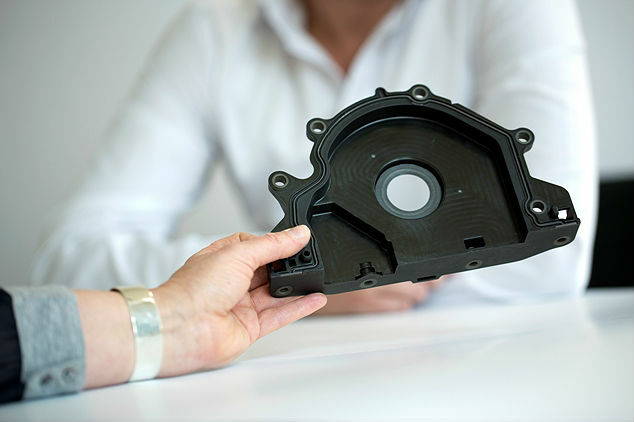 In durable automotive products, a lightweight crankshaft cover molded from EcoPaXX bio-based polyamide (nylon) has been adopted for diesel engines by the Volkswagen Group. Produced by DSM Engineering Plastics, EcoPaXX is a polyamide 410 based on 70 percent renewable resources derived from tropical castor beans, which don't compete with the food chain. The material is also certified 100 percent carbon neutral from cradle-to-manufacturing plant gate. In other words, the CO2 generated during its production process is offset by the amount of CO2 absorbed in the growth phase of the raw material — in this case, castor beans. The cover weight is significantly reduced as EcoPaXX is 45 percent less dense than the aluminum typically used. With terrific mechanical properties at elevated temperatures and excellent toughness, EcoPaXX is an ideal material for the required high performance under extreme use. The tight dimensional specification of the VW version, as well as the high loads it has to withstand, made the challenge of producing it in thermoplastic particularly severe. EcoPaXX bio-based Volkswagen crankshaft cover. 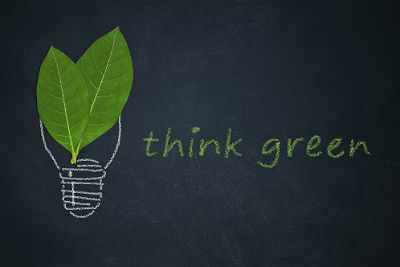 In the building and construction industry, lightweight eco-friendly tile systems are under development. New bio-based tile systems designed at the Fraunhofer Institute for Mechanics of Materials IWM are more environmentally friendly, lighter weight and more resource and energy efficient than conventional ceramic materials. The tiles are produced from a mixture of linseed oil epoxy, various natural fibers and diatomaceous earth — a material that is procured from fossilized diatoms. The composite is not as hard as glass or brittle like conventional epoxy, but flexible and more pliable instead. This makes it easier to work with the tiles. In the molding process, the tile can be shaped into squares, triangles or circles on a customized basis — patterns and colors can also be designed. 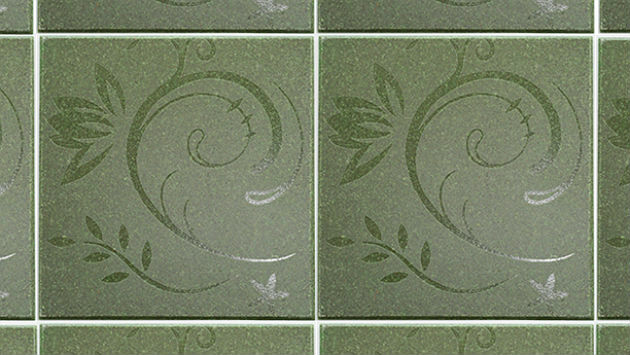 By adding fluorescent pigments to the blend, the tiles can be transformed into light tiles serving as illuminated guideposts on floors and walls. Next, bio-based medical disposable devices are taking degradable bio-based plastics applications beyond plastic grocery bags, food packaging and compostable golf tees. PLLA (poly-L-lactide) plastic-based bioresorbable scaffolds are a good example. The development of bioresorbable scaffolds has the potential to change the face of interventional cardiology. Unlike metal stents, the unique structure and material of a bioresorbable stent enables it to dissolve into the blood vessel, leaving behind a treated vessel that may resume more natural function and movement because it is free of a permanent metallic implant and eliminates the potential risk that a permanent stent causes. Fortitude is a bioplastic-based stent being developed by Amaranth Medical Inc. from an innovative high molecular weight PLLA. The plastic has the ability to provide a mechanical strength that is on par with conventional metallic stents. The proprietary PLLA has a high degree of dimensional accuracy coupled with radial strength and flexibility. Fortitude bioplastic stent radial strength (left) and a look at the Fortitude bioplastic stent (right). The properties are achieved through tailoring of crystalline and amorphous regions of the polymeric structure. The combination of high molecular weight and crystalline structure of the PLLA helps the scaffold to obtain the required mechanical strength, ductility, toughness and resistance to fracture. The amorphous domain of the plastic helps to ensure the gradual and predictable hydrolytic degradation of scaffold, while maintaining its structural integrity during the healing period. The Fortitude stent is designed to dissolve after 3-6 months, forming lactic acid (a natural metabolite) and water. Other companies are also developing bioresorbable stents. Abbott Laboratories has commercialized its Absorb drug-eluting bioresorbable vascular scaffold. Elixir Medical Corporation is also offering a fully drug-eluting scaffold called the DESolve Bioresorbable Coronary Scaffold. The DESolve Bioresorbable Coronary Scaffold System is made from a PLLA-based polymer and coated with a polylactide-based resorbable polymer-drug matrix. The company was awarded a U.S. patent for its proprietary polylactide-based technology to enhance the strength of a bioresorbable stent by increasing crystallinity through annealing without substantially increasing the biodegradation time. Delving further from an industrial application standpoint, Ford is using plastic reinforced with rice hulls — a byproduct of rice grain — in an electric harness bracket in the 2014 F-150. 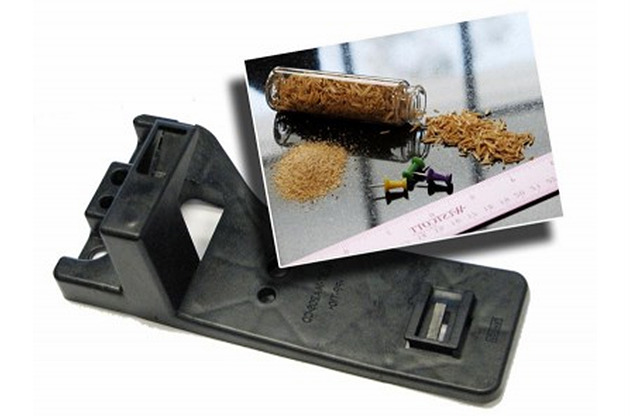 Rice hulls replace a talc-based reinforcement in a polypropylene (PP) composite made by RheTech. The company will need at least 45,000 pounds of hulls in the first year — 10 percent talc-filled PP was previously used to make the part. Engineers at Ford, in conjunction with RheTech, conducted extensive testing of the rice hull material examining everything from smell and appearance to functionality and flammability. Rice hull use does not affect component weight or cost. Electric harness bracket for 2014 Ford F-150 with inset photo of rice hulls. Rice hulls offer several advantages over other natural fibers such as kenaf and wood, including low moisture absorption and the lowest probability to require tool modifications. Rice hulls are readily available, consistent in composition and have a fast growing cycle. Ford is also studying the use of rice hulls as reinforcement material for use in other Ford vehicles as well as other automotive applications. Finally let's look at compostable multilayer snack packaging. The Seattle Mariners and BASF have partnered to debut a prototype a compostable barrier film snack pack. Back in 2012, the first 10,000 fans that arrived at the Mariners' Safeco Field to see the Seattle Mariners take on the Boston Red Sox received a free bag of peanuts in a 100 percent compostable snack pack made of BASF Ecovio partially bio-based resin. Last season the Mariners, as a member of the Green Sports Alliance, diverted 85 percent of their waste from landfills, up from 12 percent in 2006. The team has set its sights on 90 percent diversion, but has found snack food bags to be a significant barrier to achieving its goals. Traditional snack packaging is composed of several layers joined by adhesive that cannot be easily separated once bonded, leaving the packaging unable to be recycled or composted. Whenever there are contaminants in the Safeco Field compost stream, such as regular snack bags and candy wrappers, the Mariners have to pay a premium to have them removed by hand. 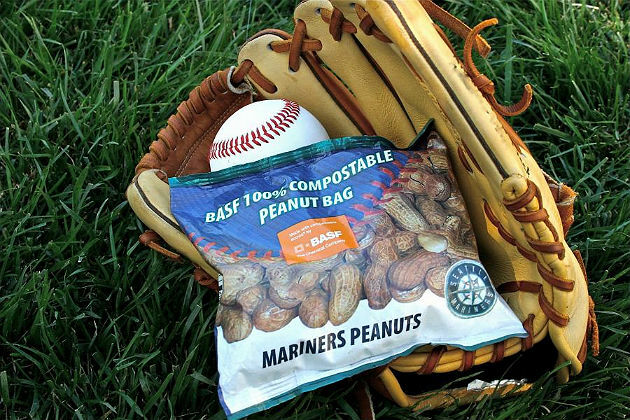 According to BASF and the Seattle Mariners, popular snack foods such ballpark peanuts can be brought to market in compostable packaging that delivers needed shelf-life at a competitive price point. BASF Ecovio compostable snack pack.